Lots of requests for this one, as well as for a rundown of brands made in America (for that I refer you here and here), but let’s start with my favorite fair trade fashion company, Everlane. To me, Everlane serves the function that Gap did back in the day: they provide sophisticated, well-priced versions of classic pieces that you can work into your wardrobe and make your own. 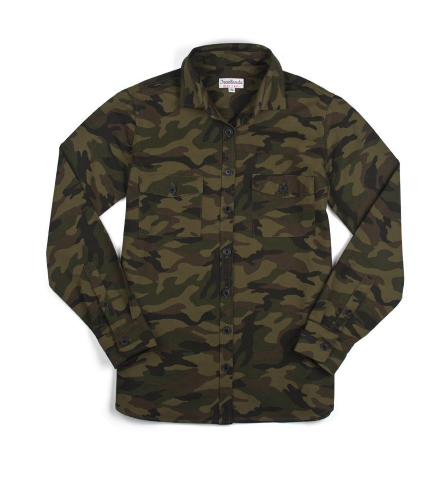 Their $65 poplin button-downs are just as attractive and well-made as shirts I’ve paid a whole lot more for. Zady also traffics in classics, but they’re a bit more fashiony. 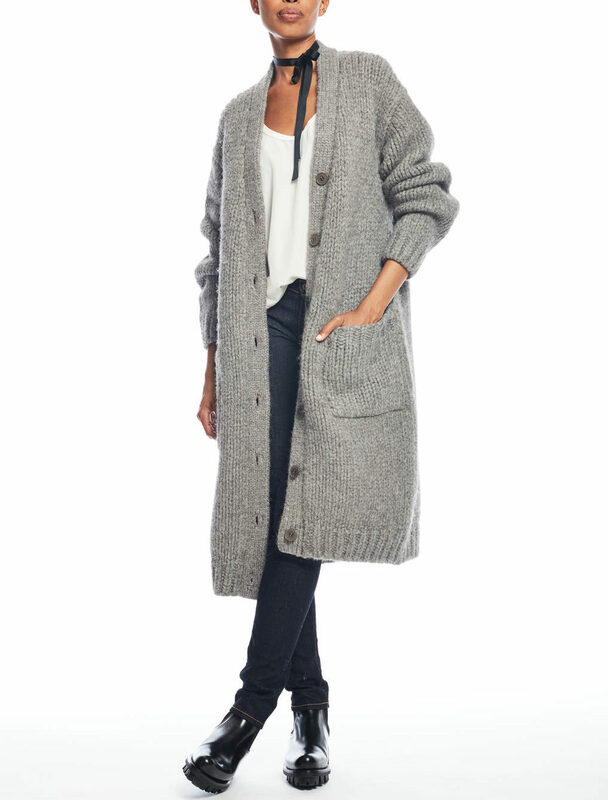 I am crazy for this excellent sweater coat. 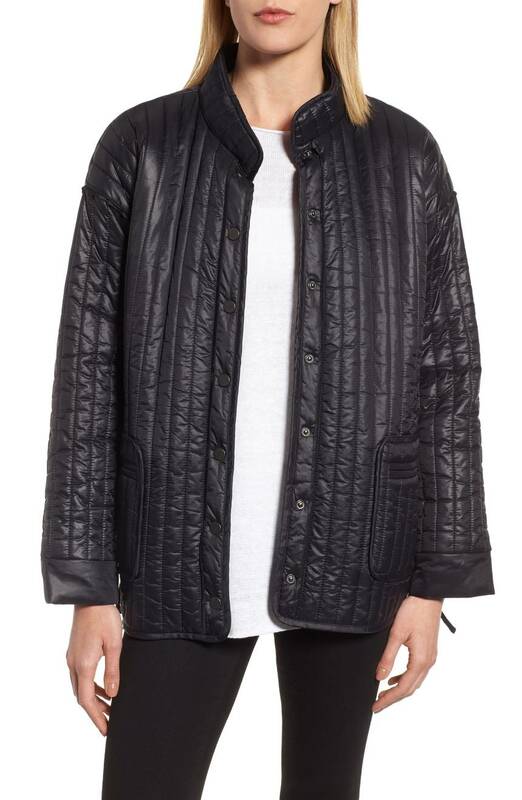 I am surprised constantly by Eileen Fisher—the brand’s reputation is sleepy, but I find items I want pretty regularly, like this quilted jacket. The clothes at Reformation are on the young side, but if you poke around the site you’ll find a number of super-cute items. 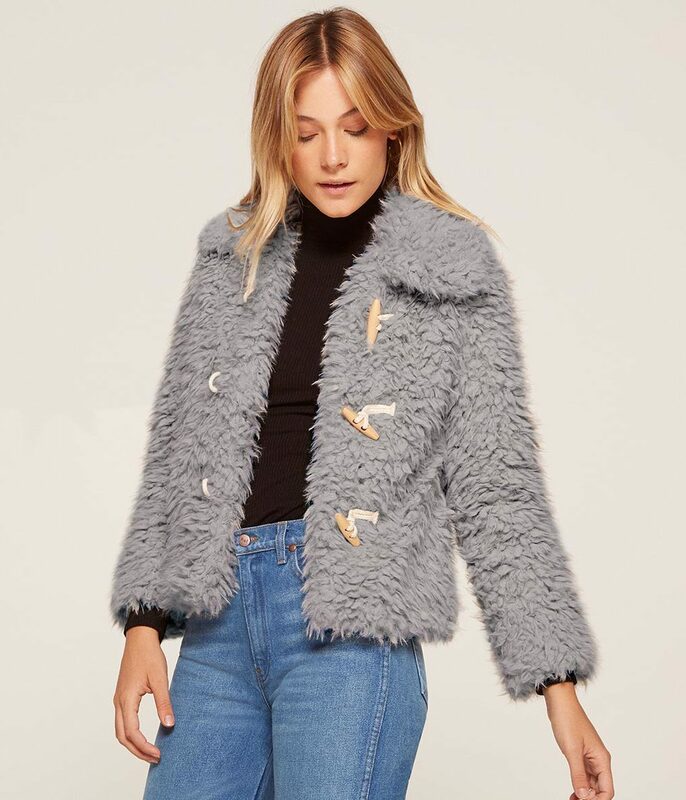 I’m a big fan of this furry toggle jacket. Krochet Kids sells some clothes, but I like this site for the winter hats on offer. This is fairly adorable. Nisolo sells bags and shoes at reasonable prices. 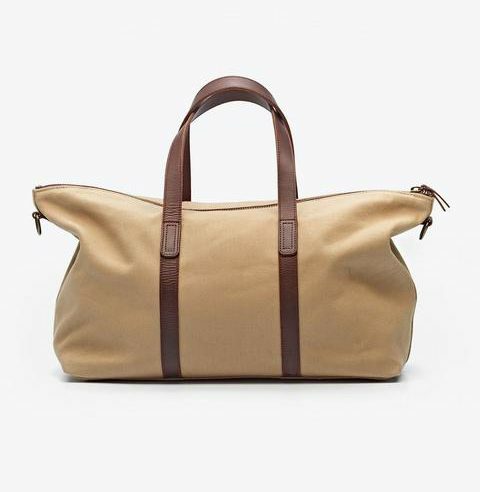 I think this weekender is very preppy chic. I have liked Alternative Apparel ‘s T-shirts for a while now—they’re super-soft and high-quality. Able Local & Global is a good resource for tees and bags. This tote is very nearly perfect. 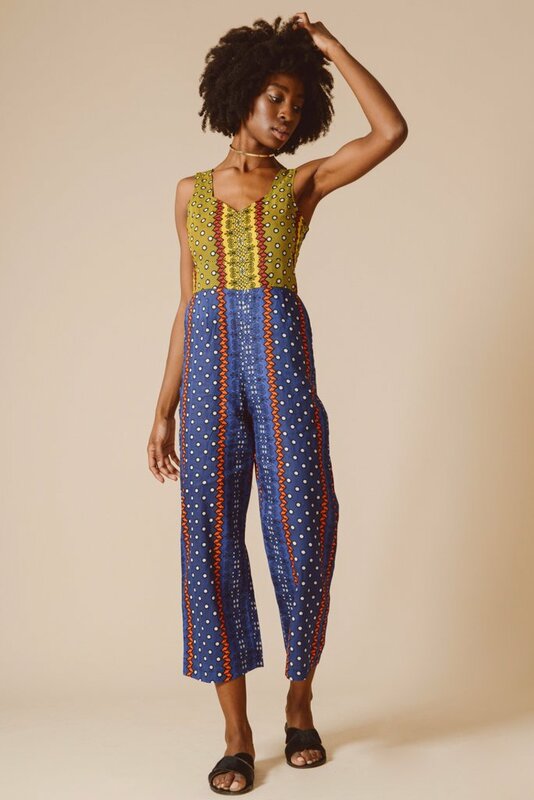 Mayamiko is another site that skews young, but they’ve got some unstoppable African prints that are worth checking out if you’re into that type of thing. I’m really liking the button-down shirts on the Tradlands site. DL 1961 is a great denim brand, and they have other cute items too, like this slim-fit jumpsuit. Christy Dawn is a good resource for flowy, feminine dresses. 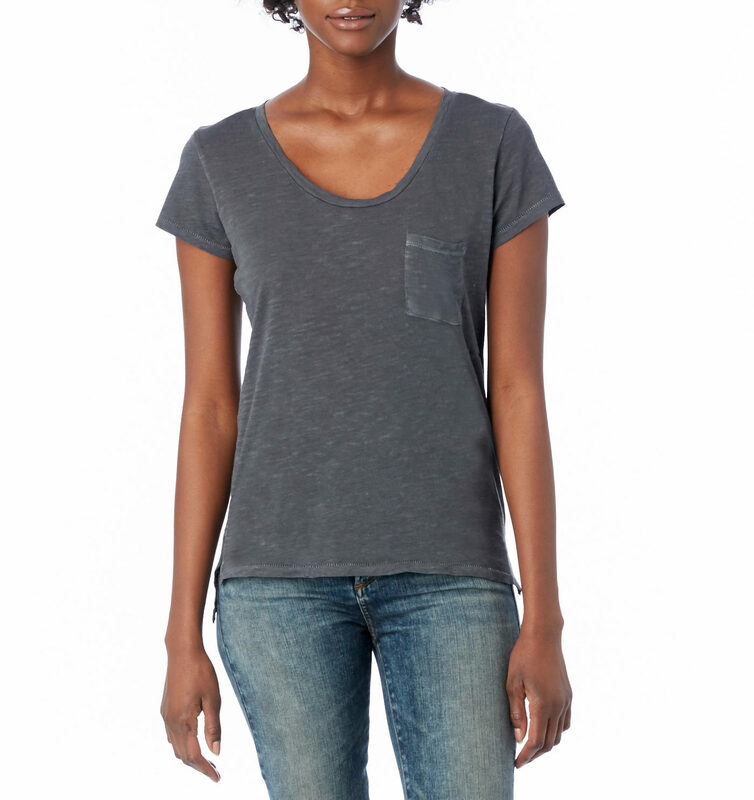 Encircled has decent basics that tend to be on the drapey side: this tee looks so comfortable and flattering. Thank you for this! I frequently shop at Everlane…incredibly comfortable cotton sweaters! And I own some Eileen Fisher sweaters and slacks that have been around for years and still look great. Thank you for this! I frequently shop at Everlane...incredibly comfortable cotton sweaters! And I own some Eileen Fisher sweaters and slacks that have been around for years and still look great. I love this post, thanks for the resources! Drapey knits are my jam, so I bookmarked that Encircled site. Last year my resolution was to buy only from companies who provided good custodianship for their workers and for the earth. My top two were Amour Vert for shirts and dresses, Soko for jewelry. Shoes, denim, and bags were the hardest gets – I think we’re naturally fussier about these. I love this post, thanks for the resources! Drapey knits are my jam, so I bookmarked that Encircled site. Last year my resolution was to buy only from companies who provided good custodianship for their workers and for the earth. My top two were Amour Vert for shirts and dresses, Soko for jewelry. Shoes, denim, and bags were the hardest gets - I think we're naturally fussier about these. I love that sweater coat and you’ve introduced me to some cool new sites!!! Thank you!!! I love that sweater coat and you've introduced me to some cool new sites!!! Here's to fair trade! Kudos to DL1961 for the extended sizes, too! So nice to see a premium denim line that doesn’t stop at a 12. Kudos to DL1961 for the extended sizes, too! So nice to see a premium denim line that doesn't stop at a 12. Excellent post! I also love a brand out of New Zealand called Kowtow. A little hard to find sometimes but they do ship internationally. Everything is sustainably made and I love their aesthetic. And Ace & Jig for fabulous boho stuff. 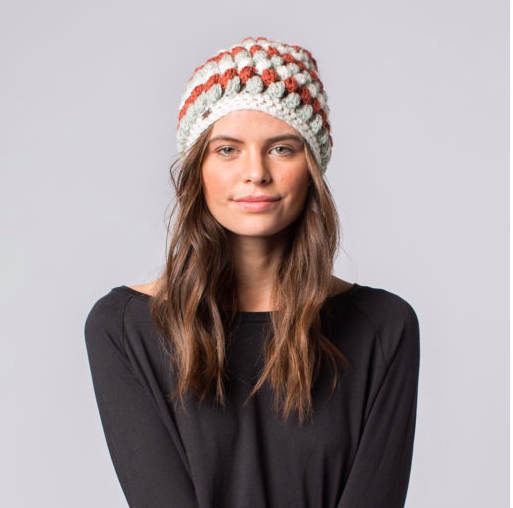 All fair trade, straight from artisans in India. I love their ethos as well as their fabrics. Elizabeth Suzann is an amazing company. Simple, flowy shapes in quality fabrics. And the company’s dedication to artisanship, sustainability, corporate ethics and community is second-to-none. Definitely clothes to splurge on. Elizabeth Suzann is an amazing company. Simple, flowy shapes in quality fabrics. And the company's dedication to artisanship, sustainability, corporate ethics and community is second-to-none. Definitely clothes to splurge on. I’m a huge Elizabeth Suzann fan. I’m trying to save up and buy two pieces from her each year. I'm a huge Elizabeth Suzann fan. I'm trying to save up and buy two pieces from her each year. Eileen Fisher is the mother of all the simple loose shapes in style these days. She was doing it before anyone AND paying attention to ethical production and business. I always go back to her. Look for the old stuff on eBay. GASP — the drapey knits! GASP -- the drapey knits! Thanks for this, Kim. My goal in 2018 is more fair trade and this is a great start. I just bought a work tote from Raven + Lily – everything they make is fair trade. I love it! Thanks for this, Kim. My goal in 2018 is more fair trade and this is a great start. 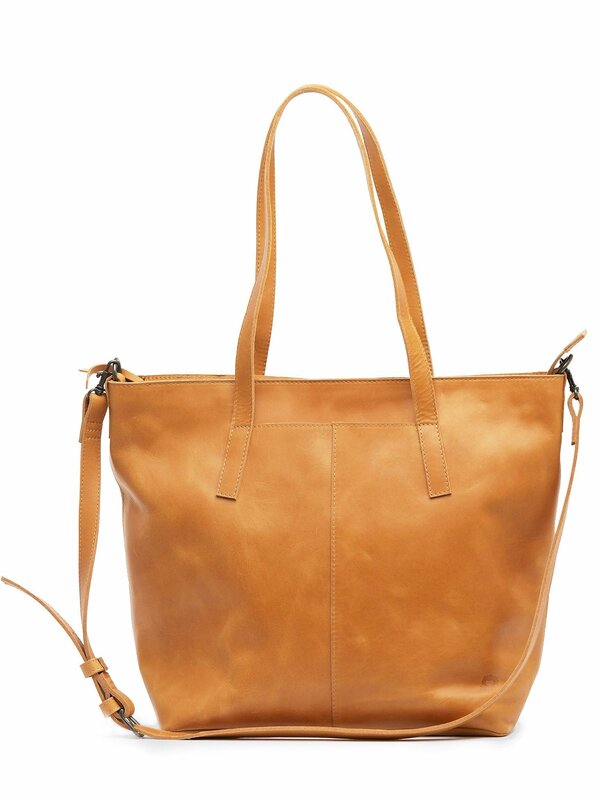 I just bought a work tote from Raven + Lily - everything they make is fair trade. I love it! I’m not sure whether I want to kiss or curse those of you who recommended Amour Vert – I just ordered a ton of stuff!! Sort of reminds me of a more grown-up Anthropologie just when I’m saddened to realize I need such a place. I'm not sure whether I want to kiss or curse those of you who recommended Amour Vert - I just ordered a ton of stuff!! Sort of reminds me of a more grown-up Anthropologie just when I'm saddened to realize I need such a place. Thanks to those who recommended Amour Vert - it reminds me of a more grown up Anthropologie just as I was struggling with the idea that I need such a place! I just ordered a ton of "stuff." Just a quick note on Everlane–they don’t publish any information yet on their environmental practices, including the source of their materials, what they use to dye and process fabric, and their policies on water/energy/plastic use during production and shipping. While it is great they are committed to sustainable employment practices, there’s huge room for improvement in their environmental practices. Some of the other companies recommended like Eileen Fisher and Elizabeth Suzann, treat both their employees and the environment well! Also, I’ve been recently introduced to Amour Vert, but I can’t find detailed info on their practices on their website. (Anybody can say they’re eco-conscious but who knows what that means?) Does anyone know more about them? Just a quick note on Everlane--they don't publish any information yet on their environmental practices, including the source of their materials, what they use to dye and process fabric, and their policies on water/energy/plastic use during production and shipping. While it is great they are committed to sustainable employment practices, there's huge room for improvement in their environmental practices. Some of the other companies recommended like Eileen Fisher and Elizabeth Suzann, treat both their employees and the environment well! Also, I've been recently introduced to Amour Vert, but I can't find detailed info on their practices on their website. (Anybody can say they're eco-conscious but who knows what that means?) Does anyone know more about them? They use sustainable textiles. Their modal and tencel is sourced from renewably farmed beech or eucalyptus, they source from a mulberry silk farm, and they use wool/alpaca from humane farms. Also, whenever you buy one of their knit shirts (which are buttery and substantial knits, not flimsy at all), they plant a new tree. So their website says "Amour Vert was founded on the belief that great fashion and social responsibility can coexist. Our name means Green Love in French, but it also means American manufacturing, non-toxic dyes, sustainable fabrics, a zero-waste philosophy, and above all, enduring style. We believe that together, we can make the world a greener, more beautiful place – one garment at a time." So far everything I've bought says "Made in the USA." Oh I should have added Nisolo to my comment about companies with good employee and environmental policies! They recently improved their environmental practices and got certified as a B Corporation. Plus their shoes are amazing! Ooh, so excited about this! Many of these brands are new to me (and not on the “ten fair trade brands you should check out’ etc. lists I have looked at before.) I really appreciate this post. Thanks!!! Ooh, so excited about this! Many of these brands are new to me (and not on the "ten fair trade brands you should check out' etc. lists I have looked at before.) I really appreciate this post. Thanks!!! Jamie and the Jones is great too – the raw silk is divine. Jamie and the Jones is great too - the raw silk is divine. Kim, great post! Am very excited to give dollars to these companies. Since it’s week of requests, here’s a bid: would you do a feature on duvet covers? My boyfriend just moved to California, and I’m trying to feminize our (once shared) bedroom in his wake. Thanks for everything – have been a quiet admirer of this blog since I turned 21. Kim, great post! Am very excited to give dollars to these companies. Since it's week of requests, here's a bid: would you do a feature on duvet covers? My boyfriend just moved to California, and I'm trying to feminize our (once shared) bedroom in his wake. Thanks for everything - have been a quiet admirer of this blog since I turned 21.